Just Sticking Around for the Food? Why Company Culture Matters More Than Perks. 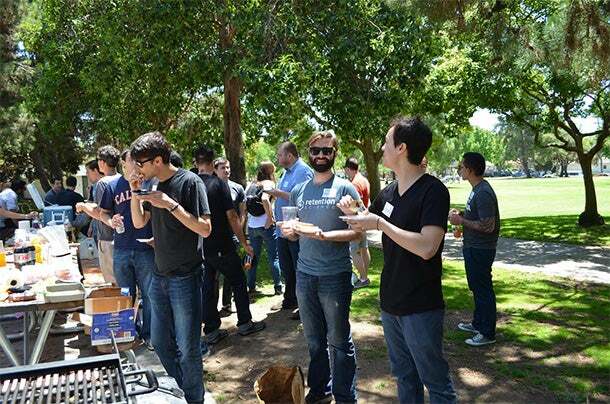 Retention Science team members enjoy lunch a summer ago. Intern Vedant Dhandhania, in crimson shirt, returns to work full time months later. Facebook and Apple made waves last week when they announced they would cover the costs when female employees wish to freeze their eggs. This is definitely most creative company benefit I’ve heard of, but off-the-wall perks are par for the course in the tech industry. Competition is fierce and while the talent pool increases each year, so do the number of companies trying to recruit brilliant minds. 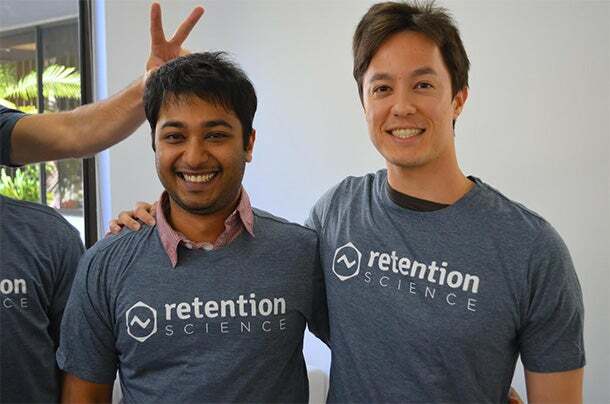 My company, Retention Science, has been doubling in head count every couple of months so expanding the team is a top priority. When speaking with candidates, I do mention the perks, including catered lunches, unlimited snacks, and company-sponsored excursions, but my focus has always been on the strong and unique company culture cultivated by members of the team. Perks are designed to draw potential hires but getting them to stay is another story. Free scuba lessons or in-office acupuncture, although fantastic benefits, can’t make up for an uncomfortable or high-stress working environment. An established company culture, however, will go a long way in helping people feel included and motivated. 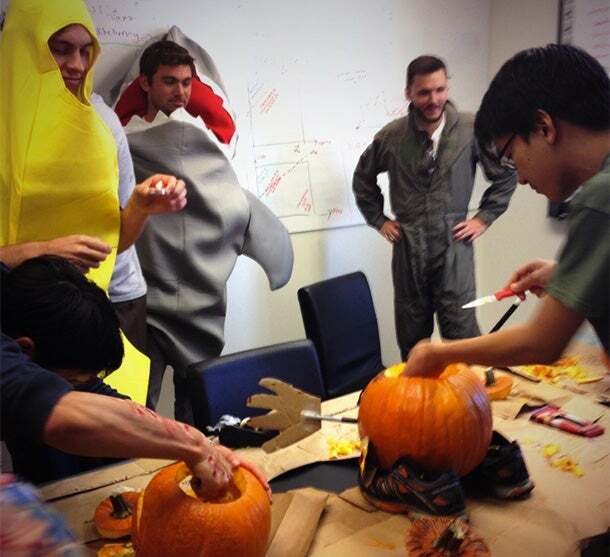 A pumpkin carving contest lets team members sharpen another set of skills. How do you build a successful company culture that lasts? In my opinion, this is done by growing as a family instead of just as a company. Some people believe business doesn’t mix well with a family mindset, but my personal experience tells me otherwise. Having a family culture within a company optimizes productivity, especially in startups. Startups require flexibility from all team members, especially since some individuals wear multiple hats. Effective and sustainable teamwork is key. Without it, overlapping roles end up being mishandled and the entire machine can fall apart. Mutual respect and feeling a connection to teammates are pivotal in sustaining productivity and positivity. Encouraging a family mindset helps my team connect on professional as well as personal levels, which fosters greater companywide synergy. To facilitate this, my company hosts frequent activities to provide opportunities for team members to bond outside work. Annual company trips are designed to help each person engage with co-workers outside his or her specific department. In the office, standing desks in communal areas and extra workspaces in different departments encourage people to sit somewhere different for a day. My company emphasizes cross-departmental interaction, which has the added benefit of bolstering each person’s understanding of the business as a whole. 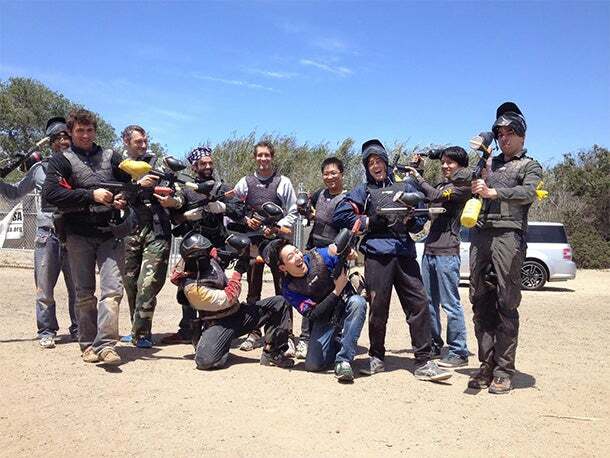 Paintballing lets staffers blow off some steam. I never use the term employee to address or describe members of my team. This is not some grand gesture but rather an authentic move to reinforce the family outlook. Culture plays a big part in the hiring process. Development candidates usually interview for a cumulative five to eight hours so that the relevant skill set can be tested and they can interact with several team members. This allows for evaluating the candidate’s thought process in a variety of situations and gauging how he or she handles interacting with the team. Candidates have lunch with our team so as to get to know people in a more casual setting. The intention is not to complicate the interview process but rather to honestly evaluate if a candidate is the right fit for the role -- and the company. Managers actively look for people who not only have the requisite skills and drive but posses the core values and mindset in alignment with the company’s vision. In short, we look for people who will thrive here. Across from Retention Science is a park where the company hosts monthly barbecues. A family culture only works if each member chooses to contribute and engage. I have the privilege of working with talented, hardworking individuals who have embraced the culture, which is what makes working here so fun and rewarding. Nobody is just here for the free food or gourmet espresso (though they definitely don’t hurt). It’s clear to me that my team appreciates the tightknit culture here first and enjoys the fringe benefits second. Validation of this observation came from Vedant Dhandhania, a summer intern who received a full-time job offer from Apple before I had the chance to recruit him myself. Understanding that the opportunity was dream-job material for a young engineering grad from India, I chose to not complicate his decision by offering him a position, too. Instead, we all sent him off with well wishes: He already had become part of the family. Eight months later, I received an email: He asked to come back in a gratifying turn of events. Our strong family culture was one reason he had felt so at home at my company. Vedant’s story proved to me that company culture carries more weight than the coolest of perks. By focusing on building the family culture within the company, we forged a connection that left a lasting impression. This is not a story about which company has the better culture but rather a testament to how creating a welcoming and positive environment can resonate with a team. Vedant Dhandhania, the intern who returned to work at the company, left, talks with Retention Science co-founder Andrew Waage.